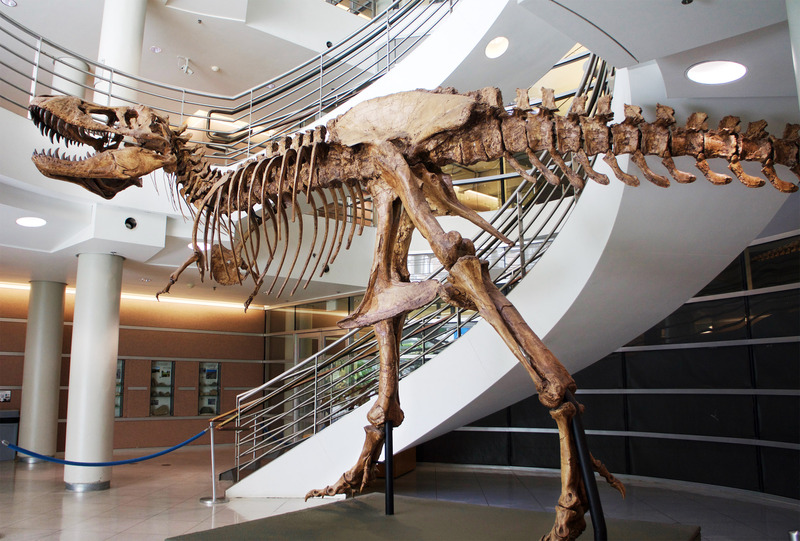 The mission of the University of California Museum of Paleontology is to investigate and promote the understanding of the history of life and the diversity of the Earth’s biota through research and education. The UCMP is primarily a research museum and thus our collections are only open to the public during our annual open house on Cal Day. However, we have a limited number of fossil exhibits on display outside of the collections, including a magnificent Tyrannosaurus rex mount and some other dinosaur fossils. These can be viewed, free of charge, any time the Valley Life Sciences Building is open. The UCMP administrative office is open Monday through Friday, 9AM – 5PM. Although UCMP is primarily a research institution, there are a limited number of exhibits open to the public. The exhibits can be viewed any time the Valley Life Sciences building is open. Building hours change during holidays and summer, but generally follow the hours of the Bioscience & Natural Resources Library. 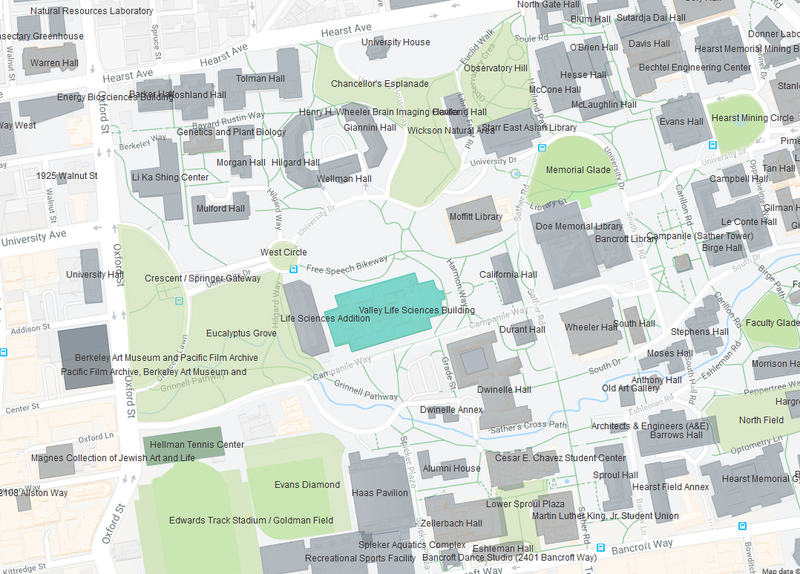 UCMP is located on the campus of the University of California, Berkeley. The main museum office and collections are located in Room 1101 Valley Life Sciences Building (on the bottom floor). Public exhibits are located in the atrium areas outside of the museum and on the second floor.